As always I’m beyond satisfied with the product. I will definately order again!! 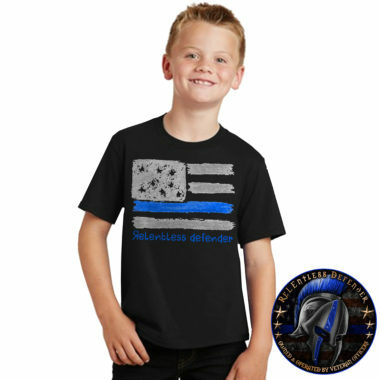 I ordered this shirt for my 3yo daughter. The material is great the quality of the print is amazing. Little to no shrinkage after being washed. The processing and shipping time was minimal (2 days, ordered on a Friday and received on Monday). Relentless Defender continues to be amazing in every way and I recommend them to everyone I know. 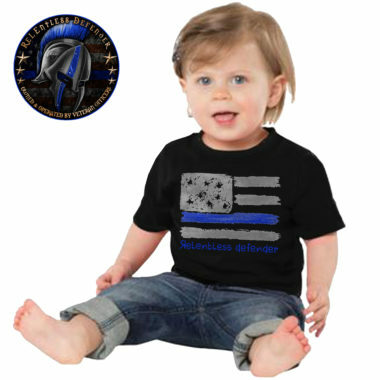 I bought this for my grandson who is 15 months and he comes from a law enforcement family. It fit perfect, and looked great! Highly recommend. Great quality! I was so excited to see toddler sizes offered. 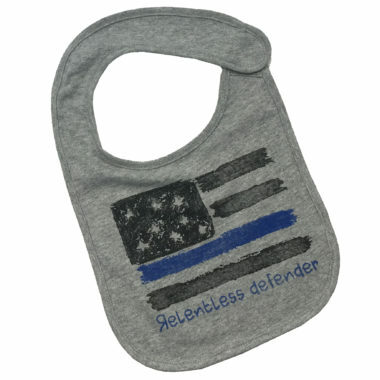 Bought this for a friends new baby boy. It arrived quickly and the quality is perfect. They loved it and and now the little one can show his relentless support. We have been waiting for a kids line and my daughter absolutely loved her shirt. We come from a family of firefighters and police officers and couldn’t be more proud of everyone of them. We like to show our support anyway possible. We can’t wait to see what you guys come out with next for kids and my daughter would be more than happy to model them for you guys! Continue your amazing work!!! 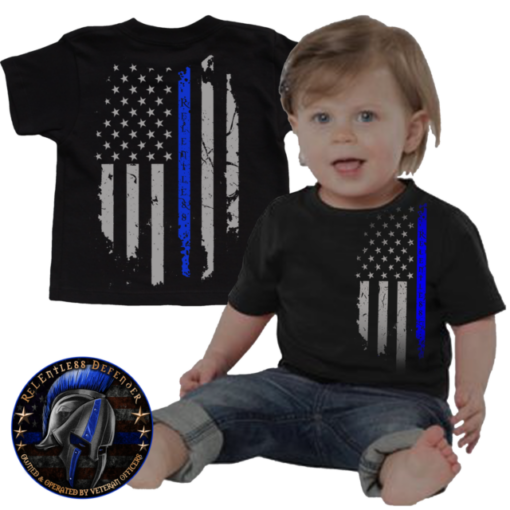 Cant wair for my son to be able to wear it! 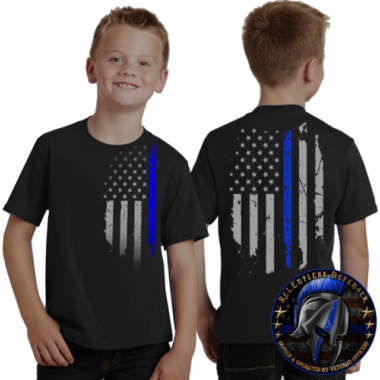 Got this shirt for my grandson and he loves it. also got one for my 1yr old granddaughter.